Full Kettle Farm is an one-acre herb farm located in the heart of the Pioneer Valley. We grow a wide variety of medicinal herbs for fresh market, value added-herbal products, and an assortment of dried teas. 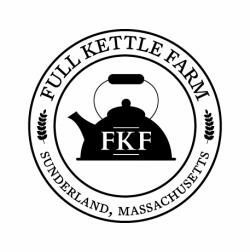 Full Kettle practices a mix of permaculture and traditional row cropping, and our herbs are grown and harvested by hand for highest quality.